Your cleansing routine is about to turn into a blissful ritual, thanks to silken coconut milk, soothing oatmeal, antioxidant-rich tropical fruits, softening clays and organic vanilla beans. All these luscious natural ingredients are hand-blended on the lush north shore of Kauai, Hawaii to create this opulent cleansing powder. Once activated with water, it transforms into a pink potion that emanates vanilla and citrus notes, gently exfoliating and thoroughly cleansing to leave your skin clean, soft and silky. 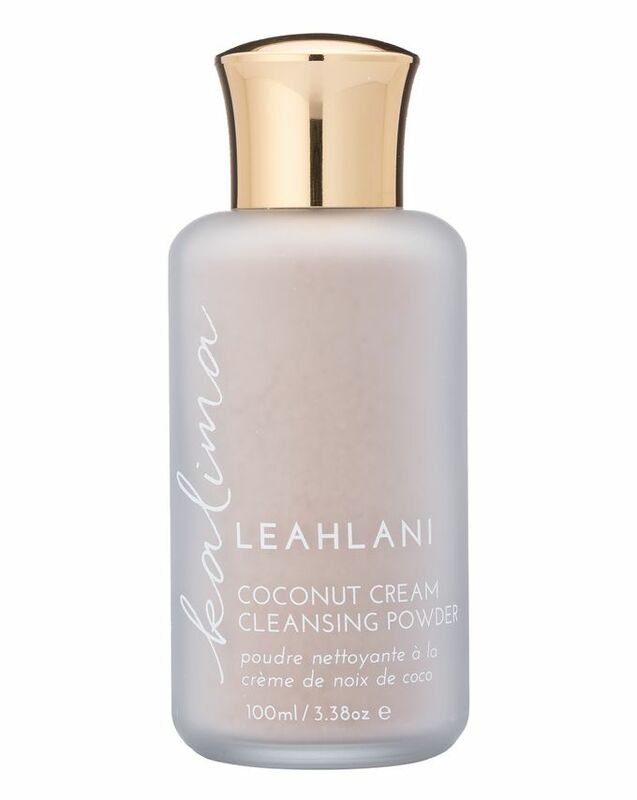 Leahlani Skincare’s Kalima Coconut Cream Cleansing Powder will transform your mundane cleansing routine into a blissful daily ritual. Once activated with water, this powder transforms into a pink potion that exudes gorgeous soft vanilla and uplifting citrus notes while gently exfoliating and thoroughly cleansing your skin. 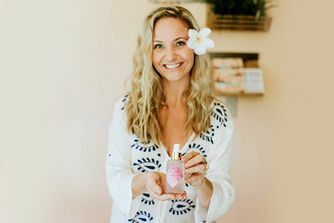 A powerhouse trio of organic hibiscus flower, wildcrafted camu camu fruit and water-activated vitamin C work harmoniously together to boost collagen production and even out the complexion. Working beautifully to deeply cleanse all skin types and leave skin soft and supple, this can also be used as a cleansing mask, drawing out oils and impurities while helping to reduce pigmentation and promote an even skin tone. Start by pouring 1/4 to 1/2 a teaspoon of Kalima powder into the palm of your hand. Slowly add water, drop by drop, until your reach an ideal consistency. For a more exfoliating cleanse, add less water. For a gentler cleanse, add a few more drops. Blend the powder in your palm until it starts to froth and activate- ensuring that the ingredients are fully integrated. Gently massage into moist skin in circular motions. Rinse well with warm water. Very abrasive even for normal skin types. I can confirm too that “a mousse like consistency” can hardly be achieved. You either get a thick paste or a watery lotion. Either way it’s too gritty. Sample first if possible. I still think it’s overprised for a scrub but ones expensive is another ones cheap so one star goes solely for how it works as a scrub. Out of all the facial products I own, this is probably my favorite. The scent alone would be enough for me, it's like a chocolate orange but not in an overpowering, sickly way. It's just gorgeous. 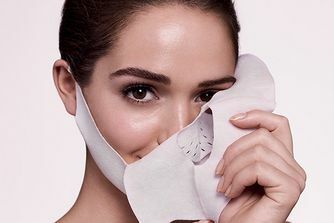 Then when you mix it with a bit of water and put it on your face you can feel afterward how soft and smooth your skin is. NO THIS WILL NOT REMOVE YOUR MAKE UP! So annoyed that someone has given this 1 star as people will be put off, if you wear makeup you will need to remove it first with a different cleanser and then use this, but it doesn't claim to remove makeup. This is more of a luxury, sensory experience, especially when used with other products from the Leahlani range. P.S. If you are debating about this or the Koko Leka then definitely go for this. Koko Leka is the only product from Leahlani I don't like, it really doesn't do anything for your skin and you can use Kalima as a mask in any case! Absolutely love this product! From the moment I open the bottle to rubbing it on my face to washing it off. My skin is an extreme combination where areas on my face which are dry are extremely dry and areas that are oily are very oily. After washing my face I feel a balance in the texture and I'm very happy with it haven't had breakouts at all which is the best part. I had really high hopes for this cleanser but unfortunately, it didn't quite live up to my expectations. It smells lovely - like chocolate, vanilla, and oranges - and comes in a pretty bottle. That said, before purchasing I read a lot of reviews that talk about a soft mousse-like consistency when activated with water, yet no matter how many times I try (rigorously following Leah's instructions), I get a gritty paste that leaves a film on my skin... 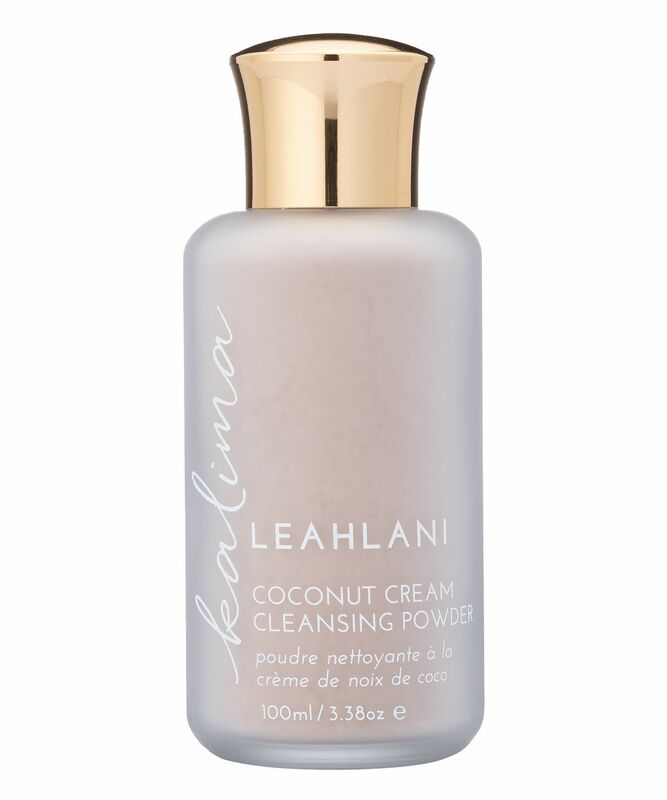 I'm a big fan of Leahlani skincare but this cleanser didn't quite work for me. Try to get a sample first if you can! This is lovely, all natural gentle exfoliation but it gets the job done and yields results. This product smells heavenly and relaxing so you can have your own little spa moment in the comfort of your own home. Sensitive skin meet your match. I have been buying this all the while from Hawaii and using for about a year. Excited to see it now on cult beauty @Cultbeauty - well done.